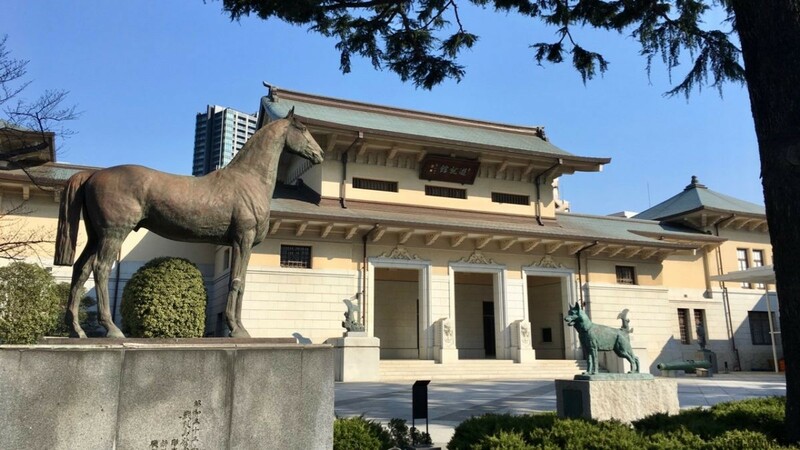 Yasukuni is a shinto shrine in central Tokyo laden with war history and hosts a controversial war museum on its premises. 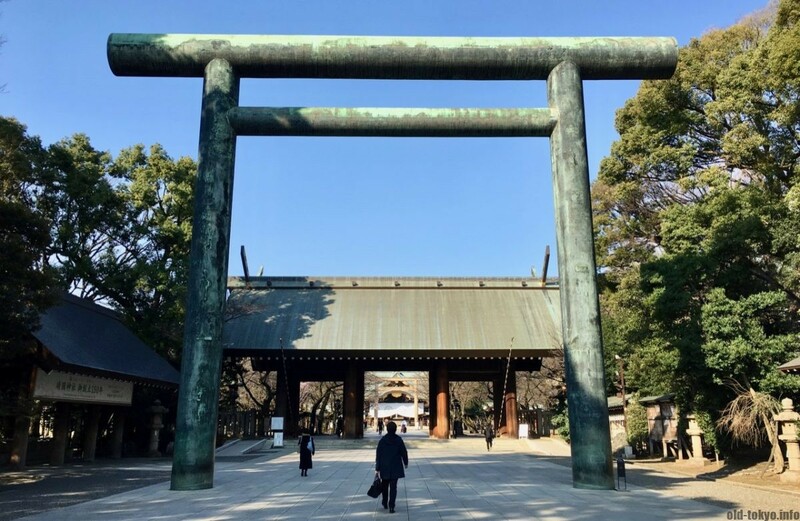 Regardless of the history, this shrine from 1869 is awe-inspiring with its broad approach and huge torii gates. Since 1966, it is designated as reference for the cherry blossoms in Tokyo. The purpose of the shrine is specifically to commemorate all who died in service of Japan, all 2.5 million of them. Since 1978 this includes the most prominent war criminals. However, their enshrinement was not a smooth process. There were many opposing voices such as the head priest of the shrine, Fujimaro Tsukuba, who delayed the process until his death. In the past I have avoided visiting Yasukuni due to its controversial history. That being said, the first time I came to Tokyo I naturally visited the shrine and the museum to get a sense of the situation. Especially what I saw in the museum raised a lot of questions, and luckily a large majority of Japanese agree. Many people refuse to pay their respects at this shrine since 1978, among them the imperial family. This clearly shows how deep the disagreement in Japan is about this shrine. 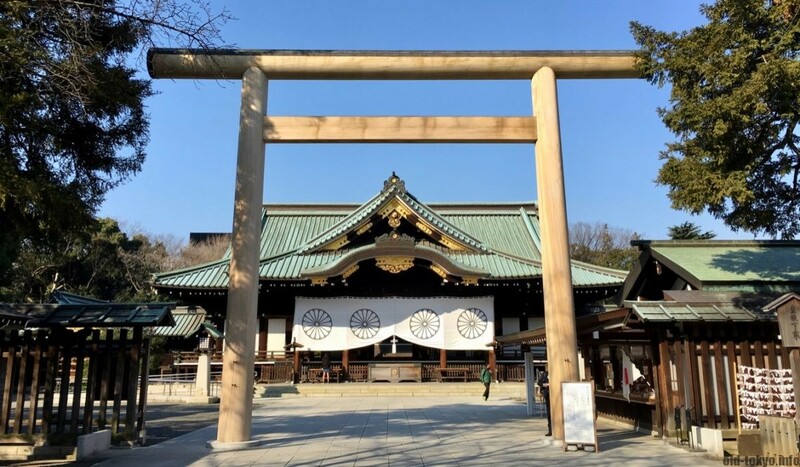 Yasukuni is closely related to the Imperial family as it was founded by the Meiji Emperor and the chrysanthemum crest (of the imperial family) is present on the gates. 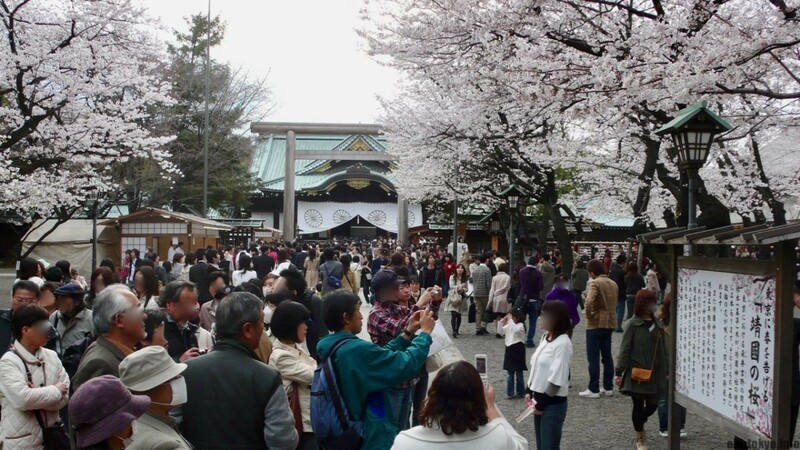 The area before the main shrine building is full of cherry trees, of which one of them has been designated by the Japan Meteorological Agency as the reference tree to decide whether full cherry blossoms have reached Tokyo. This tree is located on the right hand side (if you come from the Kudanshita side main entrance), right next to the Noh stage. There is a signboard in Japanese and English so you can’t miss it. Especially right before full blossoms many people are taking photos there. 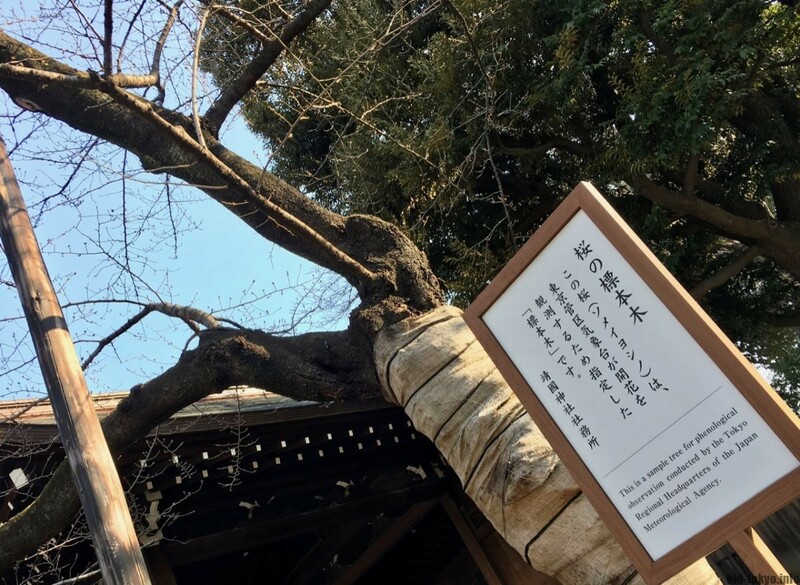 The reference tree was moved in 1966 from the grounds of the Meteorological Agency to Yasukuni shrine, but no one seems to know why. The documents related to the move were lost. One easy explanation is that these sakura trees were simply nearby the Meteorological Agency. However, there are plenty of cherry trees in this area, so it’s not quite sure why Yasukuni was chosen. What we do know is that in 1966 this shrine was not yet controversial, so that was not a point for consideration at that time. During the cherry blossom period a festival is held on the shrine premises. It is a very beautiful spot, but the nearby Chidori-ga-fuchi is much more impressive. Next to Meiji Shrine, I find Yasukuni one of the most monumental shrines in Tokyo. The long approach to the shrine is truly awe-inspiring with three massive Torii gates, the first one 25 meters high. Furthermore, the natural style and colours of the shrine are in my opinion more appealing than the red gaudiness of Sensōji. The combination of the traditional styles with a here and there western elements (such as the bronze lanterns and statues) works rather well. In particular the Shinmon (main gate) is noteworthy. 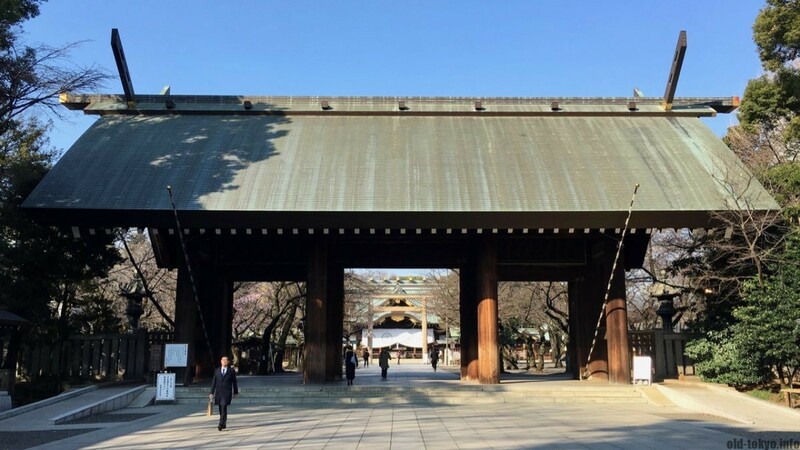 Constructed in 1934 and designed by Itō Chūta (1867–1954), this gate is remarkable with its beams sticking out of the roof. These are called chigi and are an important aesthetic aspect of Shinto shrines. The gate is made in cypress wood. On each of its 2 massive doors is a 1.5 meters chrysanthemum crest. 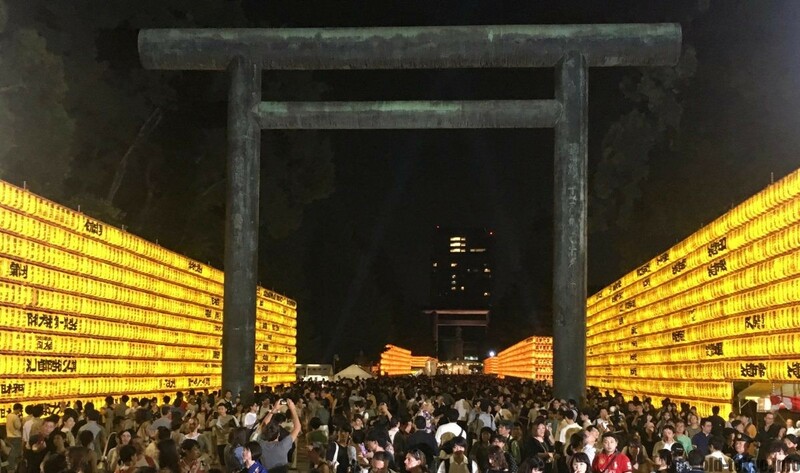 While sakura at Yasukuni is definitely beautiful, the true charm of the shrine is the Mitama festival in summer. Around 30,000 orange lanterns light up the approach towards the shrine. It is one of the most popular festivals in Tokyo attracting more than 300,000 visitors over 4-days. Another unique point is that this shrine has its own light house. It was serving as a beacon for ships after it completion in 1871. This light house (lantern tower) is now located at the other side of the street in Kitanomaru park, so not obvious that it is part of the shrine. The lanterns inside the shrine are also worth a look, they are a bit in a similar style as this light house, such as the bronze lanterns (from 1879) behind Shinmon gate. 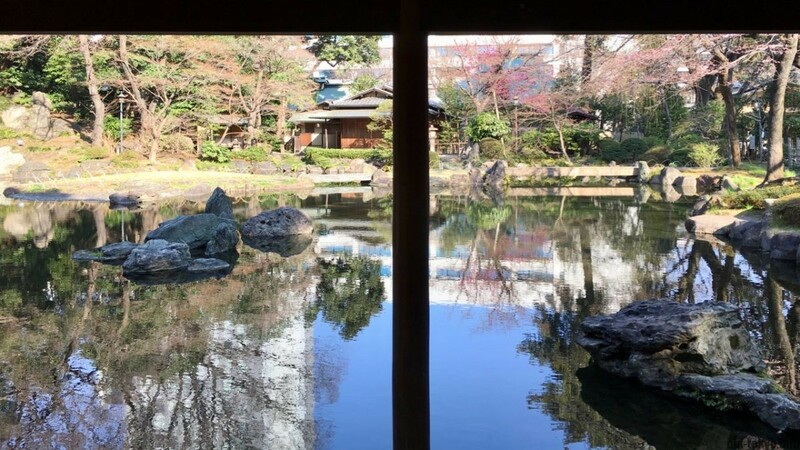 At the back of the shrine is the Sacred Pond Garden. Not many visitors make it all the way to the back to visit the garden so it is usually a place of serenity. It dates from when the shrine was founded and was restored in 1999. This strolling garden is surrounded by two tea houses and has a waterfall as its centerpiece. It’s a place worth taking a break just because not a lot people are there. Please note there is no access to the street from the back of the shrine. Finally, as it is a place for war memorial, there are many monuments related to war. A canon, a large statue of the founding father of the Imperial Japanese Army, and above all the war museum.